Once again, a new study is published in a peer reviewed journal that shows that exemptions to proper and recommended levels of vaccination for children before entering public school are harming the general population. I’ve talked about the issue of exemptions causing outbreaks or epidemics previously in New York, Washington, and other places. Over the past few years, there have been several outbreaks of whooping cough (Bordetella pertussis), including one that reached over 9000 individuals in California in 2010, considered one of the worst pertussis outbreaks in the USA during the past several decades. 1 or 2 in 100 (1.6%) will die. In 2012, pertussis killed 18 infants in the USA. Even in adults, there are substantial complications from whooping cough, such as broken ribs from coughing, that can have a significant impact on the overall health. 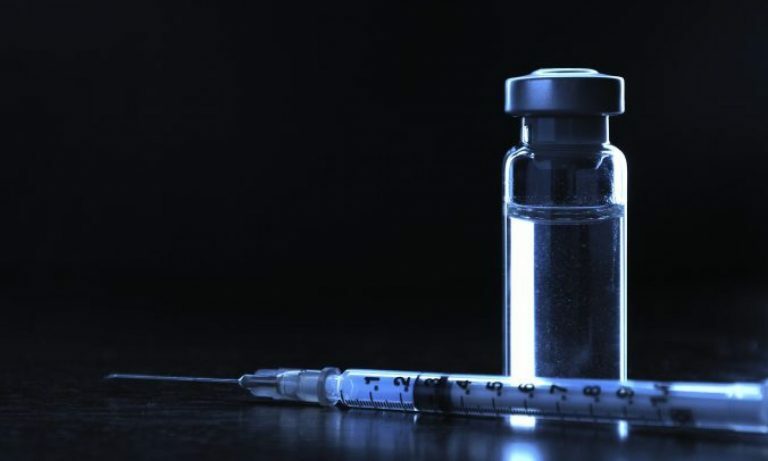 A new study has found that the major factor contributing to the 2010 epidemic in California was families that took advantage of a weakly regulated exemption system to not vaccinate their children before entering school. The study also found that children and adults were more likely to contract whooping cough in areas of the state where there was a higher rate of legal exemptions to vaccination. Clearly, when too many individuals choose not to vaccinate themselves or their children, the risk from whooping cough increases as protection drops. Moreover, as I discussed previously, adults and teens who get are immunized against pertussis also form a cocoon around unvaccinated or undervaccinated babies. The study utilized a computer program to pinpoint clusters of non-medical vaccine exemptions among California kindergarteners from 2005 through 2010. 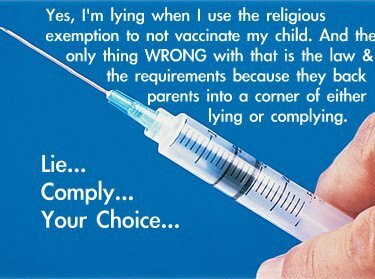 For definition purposes, non-medical exemptions allow parents to elect to not vaccinate their children for public school by making some claim of a religious, philosophical or personal belief that is opposed to vaccination. Although no mainstream religion is explicitly (or even implicitly) opposed to vaccinations, all but two states (West Virginia and Mississippi) allow it, which is abused by parents who really are opposed to vaccinations because they read it on the internet, but effectively lie about a religious belief as cover to their antivaccination belief. On the other hand, real meedical exemptions are genuinely necessary, as vaccines are contraindicated for some individuals. California has a less-stringent process to get a non-medical exemption than other states–the state only requires a signed form without discussing the risks of not vaccinating with a licensed healthcare worker (although getting exemptions should be more difficult in 2014). In California, the number of non-medical exemptions tripled from 0.77% in 2000 to 2.33% in 2010. Using the aforementioned computer program, the researchers were able to identify clusters of particularly high cases of pertussis during the 2010 epidemic. In some areas of the state, like Sacramento, the overall non-medical exemption rate has skyrocketed to around 30%. The researchers found that some schools had non-medical exemption rates as high as 84%. For a robust pertussis herd effect, which is the protective effect that occurs when the vaccination of a significant portion of a population (or herd) provides a measure of protection for individuals who have not developed immunity, the immunity level against whooping cough should be around 95%. After finding 39 clusters of non-medical exemptions in the state, where there were higher levels of those exemptions compared to surrounding areas. Within those clusters the researchers then searched for overlaps between those clusters and clusters of pertussis outbreaks that were statistically not a result a chance. The researchers then discovered two locations where whooping cough cases were more concentrated than other places in the state, including locations nearby. One cluster was located in the Central Valley, and another in San Diego Country. They observed that residents living in non-medical exemption clusters were 2.5X more likely to be living in a pertussis cluster too. When adjusted for all types of demographic factors (including education, income, racial group, etc. ), the study showed that non-medical exemption clusters were 1.73 more like to be living in a pertussis cluster. The risk of contracting pertussis was 20% higher in non-medical exemption clusters than outside. Other studies have shown evidence to support several factors that have likely contributed to the increase in pertussis cases in recent years. Our findings suggest that communities with large numbers of intentionally unvaccinated or undervaccinated persons can lead to pertussis outbreaks. In the presence of limited vaccine effectiveness and waning immunity, sustained communitylevel transmission can occur, putting those who are most susceptible to communicable diseases, such as young infants, at increased risk. As I’ve said before, I am strongly opposed to ALL personal exemptions to vaccines, and that viewpoint is supported in the United States by the Supreme Court ruling in Jacobson v United States which states that the freedom of the individual must sometimes be subordinated to the general welfare of its citizens and is subject to the police power of the state. In other words, if vaccine deniers want to use public schools, then they must vaccinate. The common good outweighs personal beliefs, especially if that personal belief is unsupported by facts and evidence. Moreover, since the issue usually involves enrollment in public schools, they can simply choose to enroll their children in private schools, although those schools tend to have tougher requirements for vaccinations, because those schools don’t want their children being exposed to diseases that could be prevented by vaccines. A free public education does not imply a right to harm other children by not vaccinated. Furthermore, religious exemptions for vaccines should not exist in a secular country. If you want a religious exemption, then please send your child to a religious school, because a public school is a public institution, and according to the Establishment Clause of the First Amendment of the United States Constitution public schools cannot favor one religious group over another. Or over those who don’t care about religion. In fact, the Jehovah’s Witnesses, who are opposed to almost all medical procedures, are not opposed to vaccinations. There are just no mainstream religions that are opposed to vaccinations. It’s time to stop allowing exemptions, which are nothing more than a cynical method for vaccine denialists to opt out of vaccinating their children, but still putting their children in school, putting other children at risk. The state should not give protection to parents who abuse their children by withholding medical treatment, whether it’s vaccines, insulin, or surgery. That’s it, simple. No exemptions, except under the most narrow of regulations for medical exemptions. No religious exemptions. No personal exemptions. And very narrow medical exemptions approved by several layers of health care professionals to prevent abuse by the denialists. Anderson RM, May RM. Immunisation and herd immunity. Lancet. 1990 Mar 17;335(8690):641-5. Review. PubMed PMID: 1969023. Impact factor=39.06. Fine P, Eames K, Heymann DL. “Herd immunity”: a rough guide. Clin Infect Dis. 2011 Apr 1;52(7):911-6. doi: 10.1093/cid/cir007. Review. PubMed PMID: 21427399. Impact factor=9.374. Winter K, Harriman K, Zipprich J, Schechter R, Talarico J, Watt J, Chavez G. California pertussis epidemic, 2010. J Pediatr. 2012 Dec;161(6):1091-6. doi: 10.1016/j.jpeds.2012.05.041. Epub 2012 Jul 21. PubMed PMID: 22819634. Impact factor=4.035.